This post is a great summary of current events in social media. Enjoy! Facebook’s new Camera Effects Platform turns smartphone cameras into the first AR platform and provides an opportunity for artists and developers to create effects for the Facebook camera. AR Studio is currently “in closed beta” with a select group of partners; however, developers can apply online to participate as well. In the meantime, Facebook released two new effects for Live video as part of the AR Studio beta program. These include a “This or That” effect, which allows live broadcasters to select from two options posed to viewers, and a new integration with Giphy. YouTube Opens Mobile Live Streaming to Smaller Accounts: TechCrunch reports that the ability to live stream directly to a YouTube channel from a phone was previously restricted to accounts with 10,000 or more subscribers. However, a YouTube support page on mobile live streaming reveals that this capability is now available to smaller channels with more than 1,000 subscribers. Facebook notes that these accounts must also be verified and free of any live-stream restrictions within a certain time limit to be granted the ability to broadcast live from a phone. 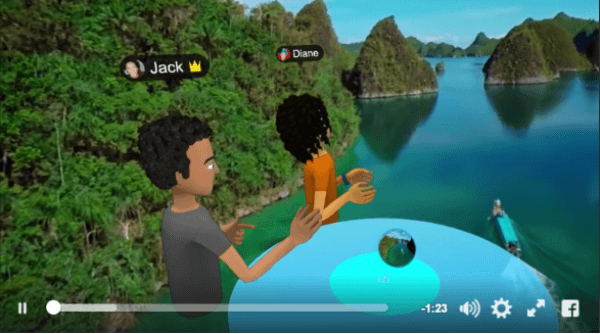 Facebook Launched New Social VR Platform, Facebook Spaces, in Beta: Facebook introduced Facebook Spaces, “a new VR app where you hang out with friends in a fun, interactive virtual environment as if you were in the same room.” With Facebook Spaces, users can create a personalized avatar; connect with other users; share photos, videos, and experiences; and much more within a virtual 360-degree space. Facebook introduced Facebook Spaces, a new VR app where you hang out with friends in a fun, interactive virtual environment as if you were in the same room. 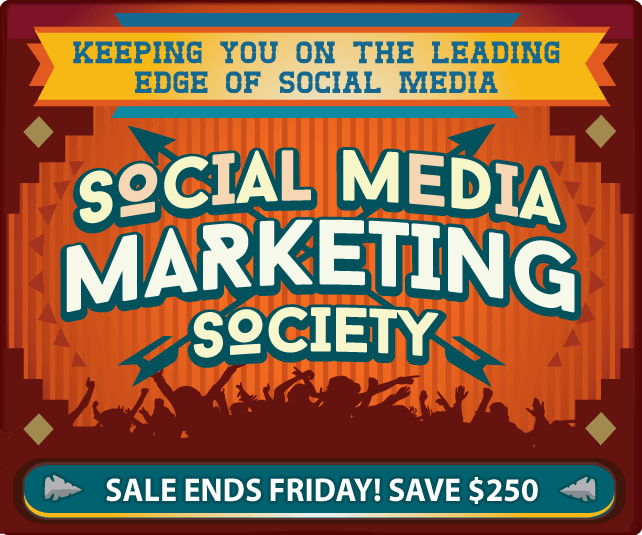 In this week’s show from Friday, April 21, 2017, Michael Stelzner and guests discuss the top news in social media. 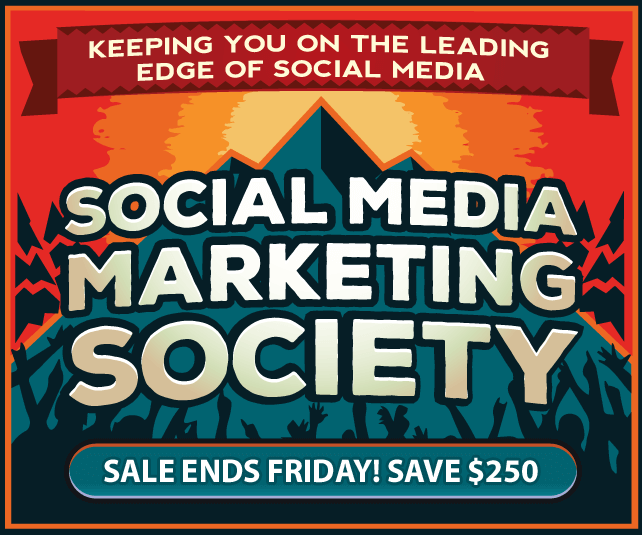 Topics include a new way to broadcast live from a desktop (6:38), the newly launched Facebook Camera Effects Platform and Facebook Spaces (18:12), and the latest updates coming to Facebook Messenger (43:22). Subscribe to future shows here. 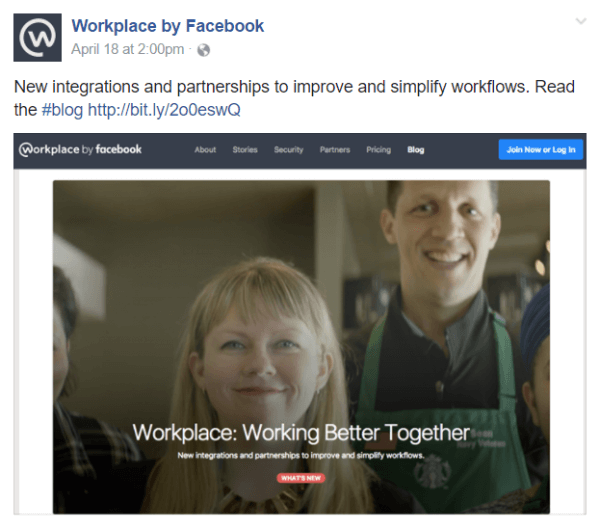 Facebook Expands Integrations and Partnerships for Workplace: Facebook announced new integrations and partnerships to its enterprise communication tool, Workplace by Facebook, that will improve and simplify day-to-day workflows, ensure regulatory compliance, and enable richer communication using live video within the platform. Facebook announced several new integrations and partnerships within its Workplace by Facebook team communications tool. Facebook Debuts New Tools and Bots for Messenger: Facebook introduced “a new suite of tools that gives you the ability to build richer experiences, get discovered, and extend the conversational, visual and social capabilities of your bots” with its new “Messenger 2.0” rollout. 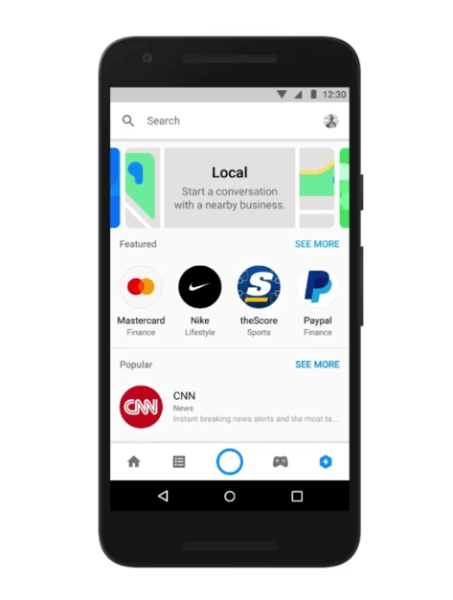 Facebook launched the Discover tab, a “new surface to help people intuitively browse and find the best bots, places, and businesses in Messenger.” Discover currently has categories such as Entertainment, News, Food & Drink, Finance, and more to come. Discover is rolling out to a “small number” of users in the U.S. this week but is expected to “gradually” roll out to all users over time. Facebook invites bot developers to submit their own tools for the Discover tab and encourages businesses to make sure their information on Messenger is up to date and accurate. Facebook introduced a new suite of tools within its Messenger 2.0 rollout. Facebook Analytics automatically surfaces insights in the dashboard that allow admins to easily identify where to dig deeper and determine a plan of action. Google Unveils New Home Page and Enhancements for Analytics: Google introduced “additional enhancements designed to help [site owners] make better data-driven decisions based on a deeper understanding of [their] users” and a new landing page for Google Analytics. The new home page for Google Analytics now features “an overview of key aspects” of an organization’s online presence such as snippets from a curated set of Google Analytics reports framed with “helpful questions” and the ability to surface more details. Google also offers a new Discover page where users can find useful products, tools, and features to help monitor and manage an account. 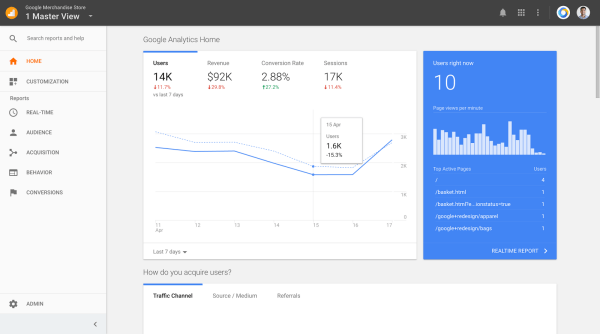 Google introduced enhancements and a new landing page for Google Analytics. 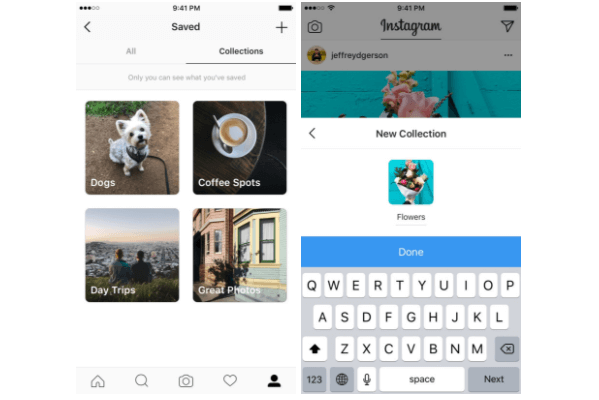 Instagram Rolls Out Collections for Saved Posts: Instagram now allows users to organize their saved posts into collections where they can be accessed at any time. Instagram’s new saved collections are completely private and available on the updated version of the Instagram app for iOS and Android. Instagram rolled out private collections for saved posts. Facebook Expands and Updates Integrations With Giphy: As part of the beta release of AR Studio on the new Facebook Camera Effects Platform mentioned above, Giphy introduced Giphy Live for Facebook Live and Giphy Thoughts for the Facebook camera. VentureBeat reports that a “magic wand icon within the Facebook Camera… [presents] the Giphy Live ticker at the top of the screen… [where broadcasters can] select a topic to find an appropriate GIF” for their Facebook Live videos. With the new Giphy Thoughts effect, Facebook camera users can “add a thought bubble to highlight what a person, animal, or object is ‘thinking’” within the photo. Facebook has also expanded Giphy’s Messenger chat features such that “GIFs can be more natively integrated right into conversations.” Users can select from six styles of GIFs that can be added to their chats. These latest updates and integrations are now available to all Facebook Messenger users. 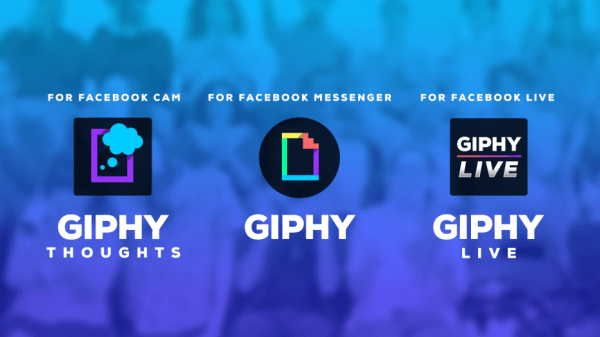 Facebook rolls out three new updates and integrations with Giphy. Facebook Admins Report Drop in Page Likes: Facebook Security removed a number of “inauthentic likes and comments that appear to come from [spam] accounts located in Bangladesh, Indonesia, Saudi Arabia, and a number of other countries” from Facebook. Because of this action, Facebook expects that “99% of impacted Pages with more than 10,000 likes will see a drop of less than 3%” in their likes and other activities. Facebook is working to “prevent this network of spammers from reaching its end goal of sending inauthentic material to large numbers of people” and will continue developing and improving its spam detection technology and resources in the future. Facebook Tests Groups Tab for Pages: Facebook is testing a new feature that makes it easier for select brand pages to link to or add a new tab for groups. By linking the two, page admins can direct users to an “official group instead of one of the many fan groups” that may be created for a company, organization, or program. Adweek reports that this new feature has only been released to “about 2 percent of Pages” and Facebook plans a broader expansion in June. Facebook Improves 360 Video Experience: Facebook unveiled “a new technique… [it] is using to improve the watching experience for 360 videos.” With the help of machine learning to predict where a viewer will look next, Facebook can reduce the number of pixels that must be rendered at any one time in a 360 video and avoid the “unpleasantness of turning your head in VR only to see a blurry scene” in a process called dynamic streaming. Facebook provided more details on this new approach on the Facebook Code blog. Facebook Tests Color-coordinated Link Previews for Articles: Adweek reports that Facebook “appears to be matching the background colors of their links with the images included in the posts” seen on the Facebook iOS app and mobile website. Facebook has confirmed that it’s currently testing “multiple design updates in News Feed” as a way “to make Facebook a more visual and engaging place to have conversations” but hasn’t confirmed any other details about this feature. LinkedIn Announces Upcoming Privacy Policies and User Agreements Changes: LinkedIn updated its terms and conditions, including the company privacy policies and user agreements to allow “certain third-party services” to access LinkedIn users’ profiles, productivity and communication tools, new authorship tools, and more. In a post shared on its company blog, LinkedIn expects these updates to take effect on June 7, 2017. 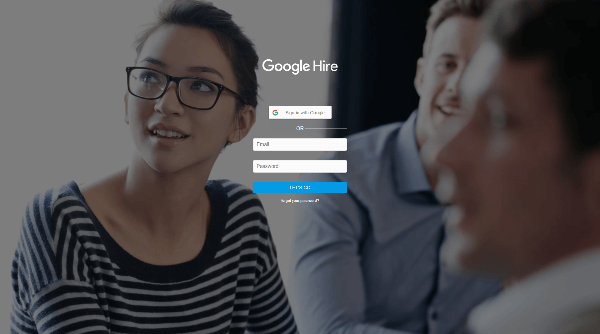 Google Tests New Job Platform Called Hire for Recruiters: The Next Web reports that Google is quietly testing a new project called Hire “to tackle the task of managing job applications for recruiters.” This new tool is currently being used by a small group of companies to accept applications for open positions. Google hasn’t confirmed any details about this new product. Google quietly tests Hire to help recruiters tackle the task of managing job applications. Instagram Influencer Marketing Is a $1 Billion Industry: According to projections from influencer marketing company Mediakix, Instagram influencer marketing is currently worth an estimated $1 billion and could easily grow to $2 billion by 2019. The company notes that “lack of transparency and reported metrics with regards to advertiser spend mean that there’s no official tally on the size of the Instagram influencer market.” To estimate how much money advertisers have spent on Instagram influencer marketing, Mediakix tracked the number of sponsored Instagram posts over a year and weighed it against the platform’s current annual growth. The Value of Influencer Content 2017: Using survey data from 207 marketers across a variety of industries and their agencies, Linqia issued a new report on the value of influencer content and how companies are integrating it into their marketing plans. The findings reveal that 86% of those surveyed include influencer marketing in their content marketing strategies and 57% say influencer content actually performs better than professionally produced assets. However, marketers spend an average of 2.6 times more for professionally produced content than they would if they simply worked directly with influencers to create the same asset. Top Non-game Apps by Downloads and Revenue Worldwide: New research from app analytics company Sensor Tower reveals that Facebook owns four out of the five most downloaded apps around the globe in Q1 2017. These include WhatsApp, the flagship Facebook app, Messenger, and Instagram, in order. Ranked fifth on the list of the most downloaded apps is Snapchat. 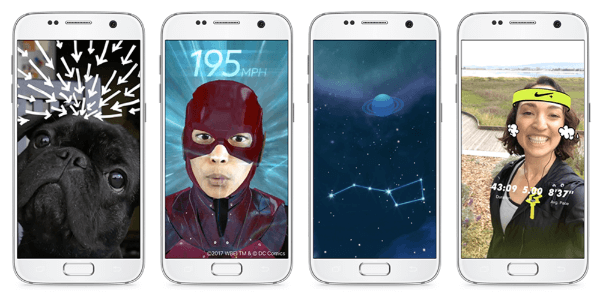 What do you think of Facebook’s new augmented reality tools? Have you checked out the new Facebook Spaces? Please share your comments below. 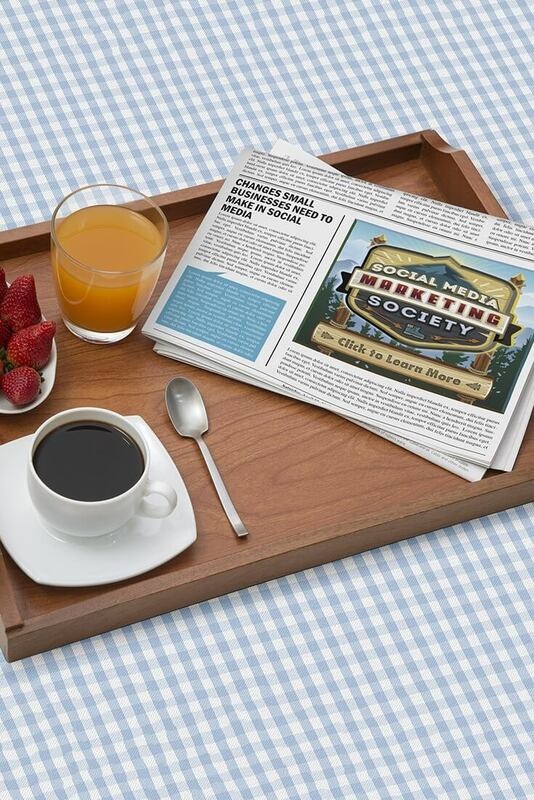 Facebook Debuts Augmented Reality Camera and other social media news for Apr. 22, 2017.